Structure of spring cables: coaxial and non-coaxial cables are available while arranged on cables. The innermost layer of a high voltage cable.Each core wire is composed of multiple strands of fine copper wire, and the insulation covering is required to withstand 50Hz and 1000V ac test for 5min without breaking the core. 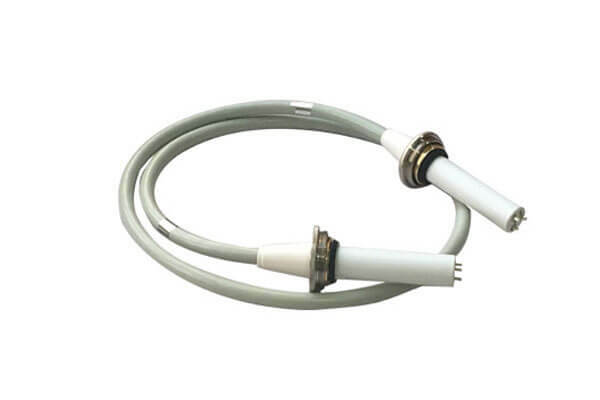 Dedicated single-focus wire tube for dedicated dual-focus X-ray tube. Spring cables insulation layer, while out of the cables, is the main insulation layer of high voltage cables, made of rubber and chemical materials, with the thickness between 4.5-13mm.Good mechanical strength and physical properties, can be bent in a certain range, the general pressure requirements for 50-200kv. Semiconductor layer.It is made of semi-conductor material and glue and is gray and black, 1-1.5mm. It is used to eliminate the electrostatic field between the outer surface of the insulation layer and the metal shielding layer. Newheek spring cables are divided into 75KV and 90KV according to their pressure resistance. Our spring cables length can be customized according to customers’ needs to meet their different needs. What is the joint material of hv connectors?